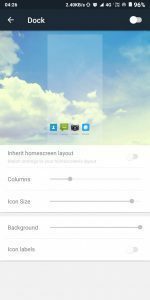 Evie launcher is not the most popular launcher but it is well known for its simplicity. Evie Launcher simplicity is the reason that did not drain the battery and Evie launcher Also Consumes less ram as compared to some popular Android launchers (i.e. Nova Launcher, C Launcher, etc.). There are many of the Android Launchers which Contain Advertisements but Evie launcher Android launcher which contains very low advertisement you may see the banner ads some times s0 You have to Download Evie Launcher and Try this Android Launcher at once. Here You can Download Evie Launcher Apk as a third party application or You can download this Android Launcher From Playstore One-Click Installation. Evie launcher is the Third Party android launcher it doesn’t relate to your device android version every Android Device Had Support To Install Evie Launcher. Evie launcher is the best launcher because it doesn’t have the drawback of battery draining or High Ram consumption if your Device has 512Mb of ram then also your device will run without any lags. 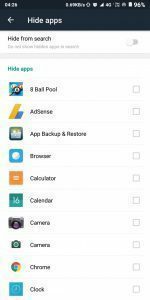 Evie launcher is a Third party Android launcher to change the Home Screen and Apps Menu. Evie launcher has low Ram Consumption. Evie Launcher Provides simple look. Evie launcher is Free To Download and Install. You can Backup Your Evie launcher Customization to your GDrive by sign in Simply. 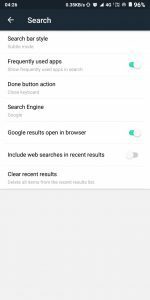 Evie Launcher Provides Facility To Hide Applications. You can manage the search bar Results. 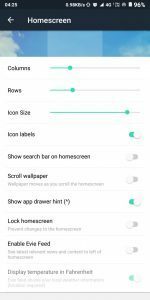 You add Different different features from every Gesture Type in Evie Launcher as shown in below Image. Enable the dock in Evie Launcher and you can manage the layout size as shown in below image. 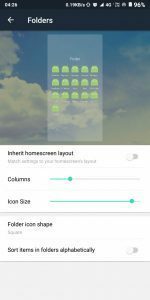 Customize the Home Screen of Evie Launcher. First of all, you have to Download Evie launcher Apk from the above link. It will Ask to set Evie launcher As Default Launcher as shown in top of the below image so do it if you want to use the Evie launcher Every Time. Finally you had installed the Evie launcher Enjoy it.